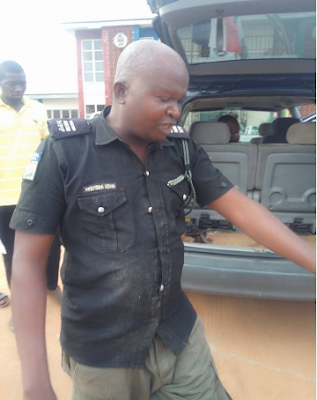 A young and notorious criminal who is said to have been terrorizing Umudioga community in Emohua local government area of Rivers state along with his gang members, has been arrested. 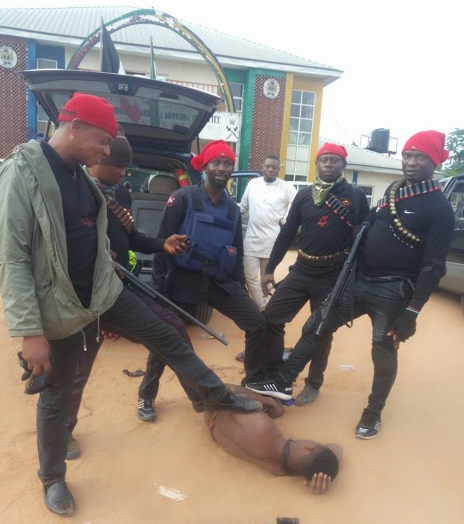 The suspect was nabbed by ONELGA Security, Planning and Advisory Committee (OSPAC) in Rivers State, after charms which were tied round his neck and waist - failed him. It was gathered that a police officer and other victims were rescued after the security agents engaged the criminal gang in a battle. According to reports, the young criminal allegedly terrorized the community by r*ping ladies in the bush, robbing and kidnapping other victims. He confessed that the gang always go on operation with their leaders - Akrekre and Oyeamuma.